Ken Ham and I were in an Australian Government High School many years ago when a student put his hand up and asked the same question with a snigger in his voice intended to mean it was not possible. So I turned the question around and asked him; “How many animals did Noah have to fit on board the Ark”? “Well I don’t know sir, but it wasn’t possible, was it?” he said. So I asked, “How big was the Ark”? He replied; “Well I don’t know, but he couldn’t have done it, could he?” Quickly I told him; “Just stop there a moment. You’ve got a boat, you don’t know how big it is, and you’ve got a number of animals and you’re not sure how many, yet one can’t fit inside the other. You don’t do very well at mathematics either do you?” I retorted. And the rest of the class got the point and laughed. The student’s attitude was the problem, not the evidence. In order to answer this question you can start by asking the size of the Ark, and the number of animals that had to be on board. Most people don’t get this far because they don’t take the Bible seriously and use the information it supplies. Let’s start with the size of the Ark. It was very large. You can read about in Genesis 6, which in the original description tells us the Ark was 300 cubits long, 50 cubits wide and 30 cubits high. But how long is a cubit? It’s an ancient measure meaning the length of the lower portion of a man’s arm, from elbow to finger tips. Today that averages around half a metre, or about 18 inches. Turning that into today’s measurement means the smallest the Ark would have been is about 150 metres long. 25 metres wide and 15 metres high (Approximately 450ft x 75ft x 45 ft). This makes it around two thirds the size of the Queen Mary. You could have fitted some 600-700 standard railway wagons in terms of volume on such a boat. So to figure out how much space you’ve got, go to the railway yards and look at how big 600 railway carriages is and that’ll give you an idea of how much space Noah had as a minimum. But, keep in mind that if Noah was a bigger guy, he had a bigger cubit, and that made for a bigger boat. Secondly how many animals had to fit on the Ark? Again, Genesis tells us that only land dwelling, air breathing animals had to go on board the Ark. Any creature that lived in water did not need to be saved from a flood. Fish, whales, crocodiles, turtles and most kinds of invertebrates wouldn’t be asking Noah for room on the Ark. Since most insects live part of their lives in water, they were no hassle either. Maybe two fleas came on each dog and we all regret that. Furthermore, we need to takes careful note that Genesis states it was two of each kind God sent, not two of each species. That makes a very big difference in how many went on board. Thirdly let’s consider how many air breathing, land dwelling animals could fit on a boat the size of the Ark. We need to consider: “What is the average size of an animal”? Think how many big animals there are in the world. There are far fewer elephants than there are dogs, and far fewer dogs than fleas, and fewer fleas, etc. In other words the average size of animals these days is pretty small. Most of the world’s animals average somewhere between a cat and a sheep. Now let’s put the animals and the Ark together. If you take an ocean liner such as the Queen Mary, you’ll find that you can fit two of every kind (not species) of air breathing land dwelling animal on about two thirds of it. There would easily be enough room left over for Noah, his wife, his sons and their wives to live on one floor, with plenty of room for storing food. But there is one more aspect that most people don’t think about. Consider the question: “How many rabbits got on board, and how many got off?” Since God sent the animals to Noah and God told him how big to build the boat I am sure he knew what size animals would fit and he also understood the rabbit problem. We get a clue to solving this problem when we look at human lifespans. Before the flood people lived for nearly 1000 years, and didn’t have children until they were 65-100yrs of age. Noah was 500 when he had the first of the sons who joined him on the Ark. I suspect that across their whole life cycle mans biological stages were also elongated. Now it’s a horrifying thought for parents to contemplate having teenagers at home for 55 years, but if we had a longer start to reproduction, then most likely so did the rabbits and other animals. Therefore, one simple solution was for God to send juveniles who were old enough to not be dependent on parents, but still sexually immature and small enough to not use up much space or food. 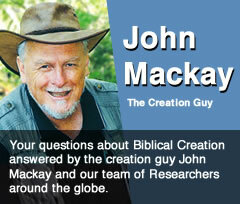 It also makes sense in terms of the overall aim of the ark – to preserve animals to re-populate the earth. Young animals would have a longer reproductive life after the flood to begin the process of replenishing the earth.